Pick the smallest battery if your budget is already pushed to the limit for the base car. Pick the largest battery if the cost is unimportant to you. Pick the largest battery if the best performance is important to you. Performance models do have a little less range than non-performance models with the same size battery. For most of us, we have a budget and want to know which battery fits our needs best without breaking the bank. Like ICE cars, there is some degradation over time. 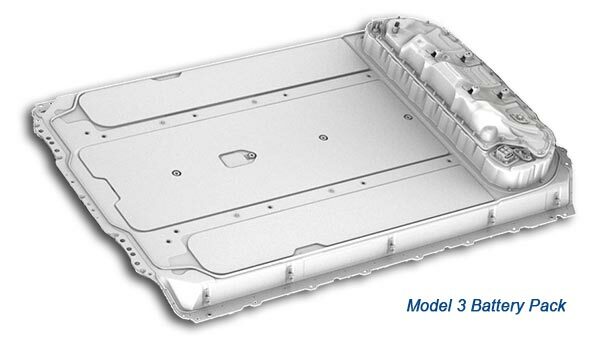 While an ICE car’s range and efficiency deteriorates slowly over its life, a Tesla has a little degradation of the battery in the first 60K miles, then less beyond that. Below we show every Tesla model, along with the expected average battery degradation over time. Table uses EPA and estimated EPA values published by Tesla 15-Mar-2019. * Degradation averages 5.4% at 60K miles, and 7.4% at 120K miles on S/X. Reported by owners as of Feb-2019. Model 3 uses a different battery, so the degradation may differ. We suspect degradation will be less than the S/X. What range do you really need? First, we assume you hare home charging. If not, that adds some complications as you need figure out where and how often you plan charge. At home, you should be able to fully charge each night. While you can charge to 100% anytime, note that Tesla recommends a 90% charge to improve battery longevity unless you need it for longer trips. You shouldn’t worry much about this, and use 100% whenever you need to. Home charging, getting to work and back. Add some miles for typical side trips such as lunch and grocery shopping. Longer trips you take to family or friends. Check if you charge at your destination or perhaps at Superchargers along the way. Only note the longest segment – such as from your home to the first Supercharger. Vacations – Do you fly or drive? If driving, figure out the typical distances and stops you may need to take at Superchargers. If you need extreme range (driving outside the Supercharger network for long periods), would a 2nd car you own be a better solution? If so, ignore that long trip for EV distance. Also consider how frequent you take a long vacation. You may find it cheaper to rent a car for that rare trip, than buy a larger battery than you’ll never need for the rest of the year. Some adjustment may be necessary if you travel at very high speeds for long distances, drive in cold or hot weather, or have the larger wheels (which are not as efficient). The EPA numbers are roughly based on travel at an average speed of 65 mph on a flat level surface without headwinds and 70 degrees outside. It may seem overly complicated, but there is really no bad choices, and plenty of good choices. Many owners are happy with the smallest battery in the 200+ mile range. Only you can access which battery is best for you and meets your needs.